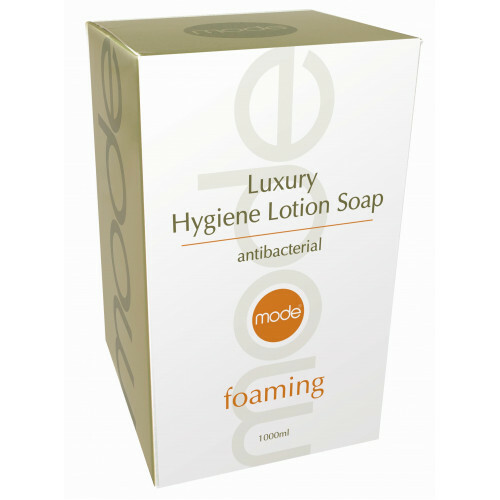 For a milder soap that’s kind to sensitive skin, choose Mode Luxury Hygiene Lotion Soap. This fragrance-free foaming soap has great anti-bacterial and anti-microbial properties, cleaning and sanitising hands at the same time. Your hands will be cleaned and sanitised at the same time.